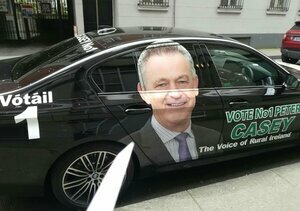 Peter Casey during his presidential campaign last October. 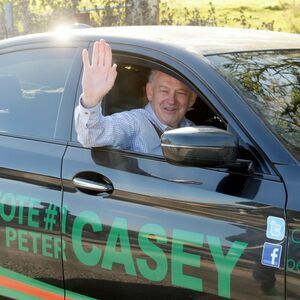 Posted in Misc and tagged car, European Elections, Peter Casey at 2:14 pm on April 17, 2019 by Bodger. 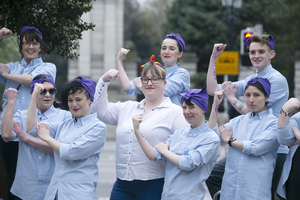 Solidarity’s Rita Harrold launches her campaign for a seat in Europe with a gathering of Rosie the Riveters, all activists from Rosa. 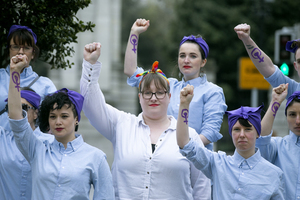 Rita, who describes herself as a ‘socialist feminist voice’, will stand in Dublin in the European Elections and as a candidate for Cabra-Glasnevin in the Local Elections, both held on May 24. Bring back black brogues soon. 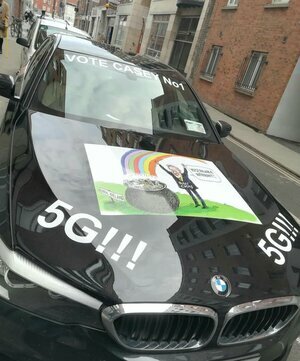 Posted in Misc and tagged European Elections, solidarity at 3:30 pm on April 12, 2019 by Bodger. Posted in Misc, Politics and tagged European Elections, France, MEP at 3:57 pm on May 21, 2014 by Aaron McAllorum. 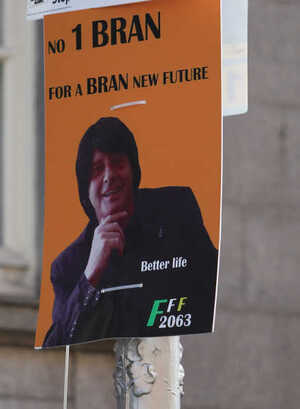 Posted in Politics and tagged European Elections, posters at 12:48 pm on April 23, 2014 by Broadsheet. 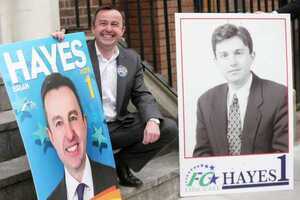 Fine Gael’s Dublin candidate for the European Parliament Brian Hayes launches his poster campaign on Kildare Street this morning. 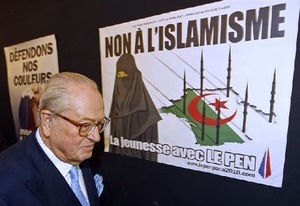 He is pictured with an election poster of his from 1994 aged 24. 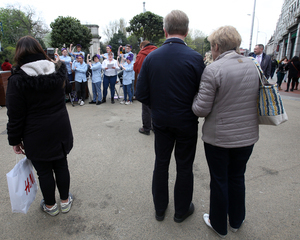 Posted in Misc, Politics and tagged Brian Hayes, European Elections, Fine Gael at 2:28 pm on April 22, 2014 by Admin. 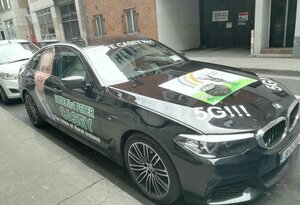 Rónán-Ronanderry Mullen may be in trouble. 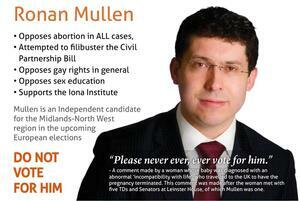 Posted in Misc, Politics and tagged European Elections, Ronan Mullen at 5:00 pm on April 16, 2014 by Admin. European election candidate Ronan Mullen calls himself “Ronan” in his latest video while proudly displaying “Rónán” on his website. Genuinely bi-lingual or just bi curious? 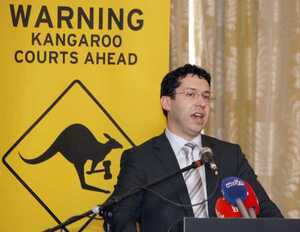 Damn Qaddafi/Gaddafi thing all over again. 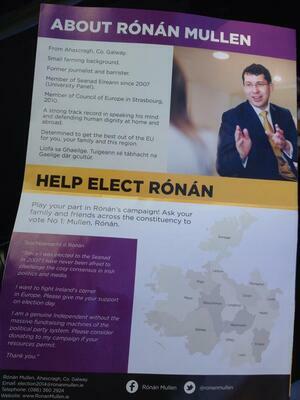 Posted in Misc and tagged bilingual, European Elections, Ronan Mullen at 12:08 pm on April 3, 2014 by Admin. 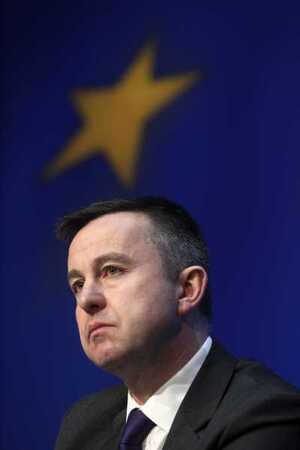 Junior finance minister Brian Hayes is going to run Fine Gael in the European elections in May. 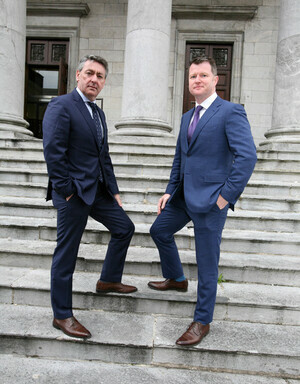 Fine Gael is only going to run one candidate after failing to identify a good-quality running mate for him. The OPW minister (44) told party members in his Dublin South-West constituency of his keenly anticipated decision at a meeting last night. He is expected to announce his decision this morning. 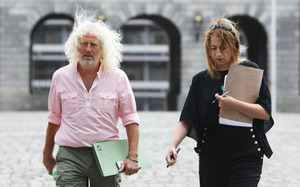 Mr Hayes is giving up the chance of getting a full cabinet portfolio when Taoiseach Enda Kenny re-jigs his ministers later in the year. Although Mr Hayes is far and away the best performer on the junior ministerial benches, there was no guarantee that he would have been promoted to Cabinet. 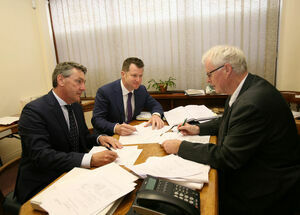 “If the bossman (Mr Kenny) had wanted him for that, he would have made it clear to him,” a source said. 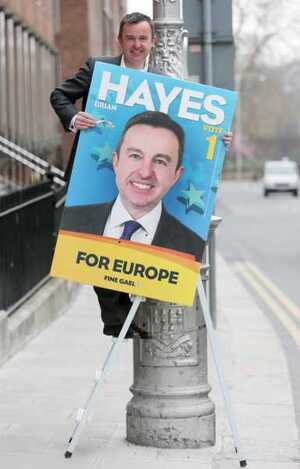 Posted in Misc and tagged Brian Hayes, European Elections at 11:45 am on January 29, 2014 by Broadsheet. Ahead of May’s European elections. Former Dublin City Councillor, Bertie electoral nemesis and Fianna Fail’s newly-chosen Dublin MEP candidate Mary Fitzpatrick and Fianna Fail leader Michael Martin (top) last night at the Clyde Court Hotel, Ballsbridge, Dublin. 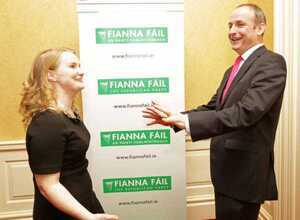 Posted in Misc and tagged European Elections, Fianna Fail at 9:41 am on January 27, 2014 by Broadsheet.